I came across this striking green and white striped dress of Swedish design, it's from Anive for the Minors for their spring and summer 2013 collection. 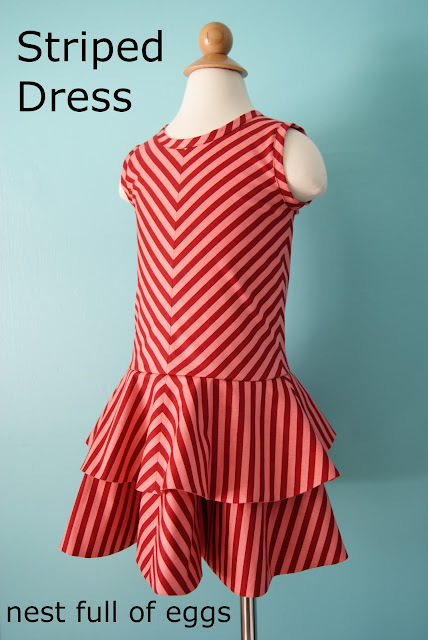 I looked around to see where it could be bought, but there's no place in the USA that sells it and the 2 Swedish websites that sell that line of clothing don't sell that dress. 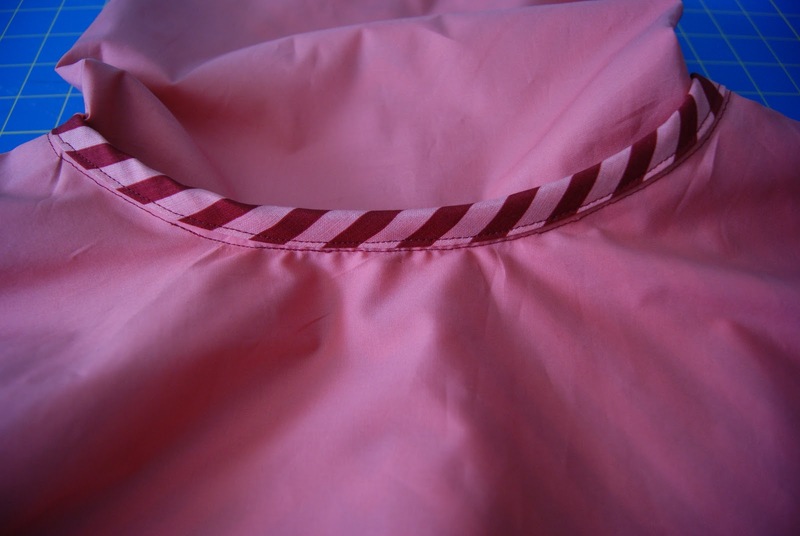 Now for the more detailed explanation with photos of how I executed this look. Warning: To obtain perfect 90 degree angles (in the final result) extra precision is needed when cutting out every piece. 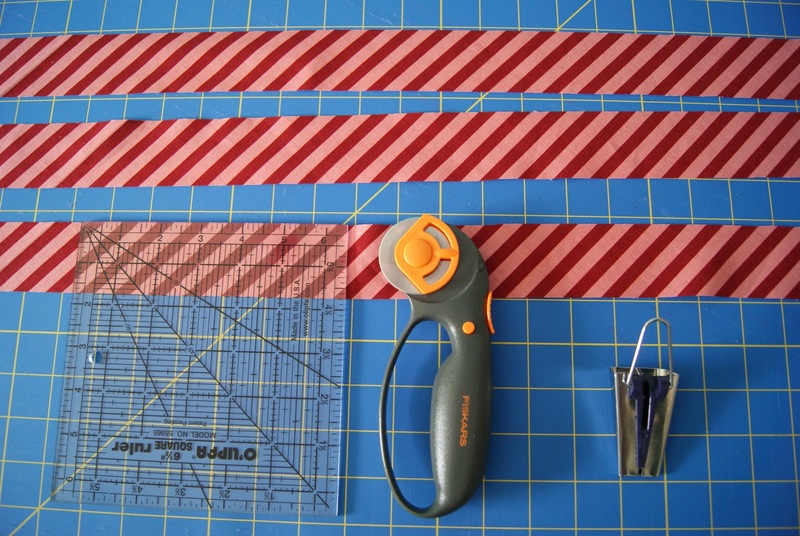 Following the photos is very important for this tutorial. 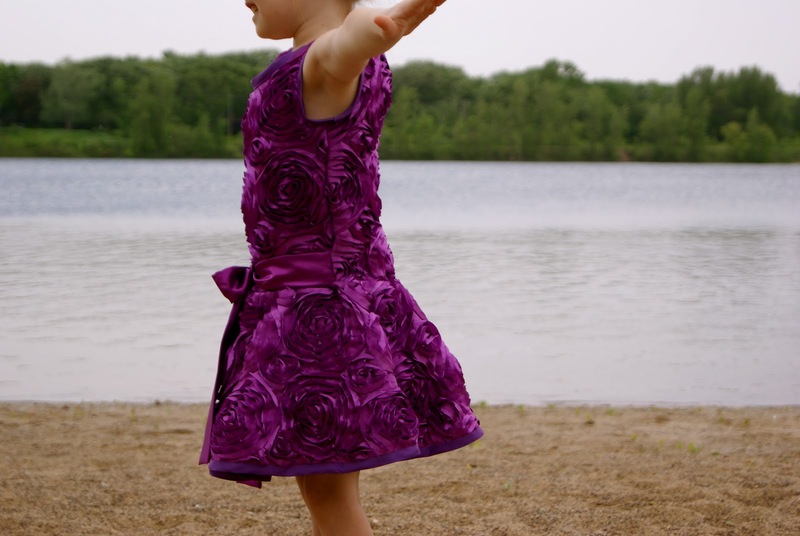 Please refer to the Purple Rose Party Dress tutorial for information and basic construction steps that I might have missed here. 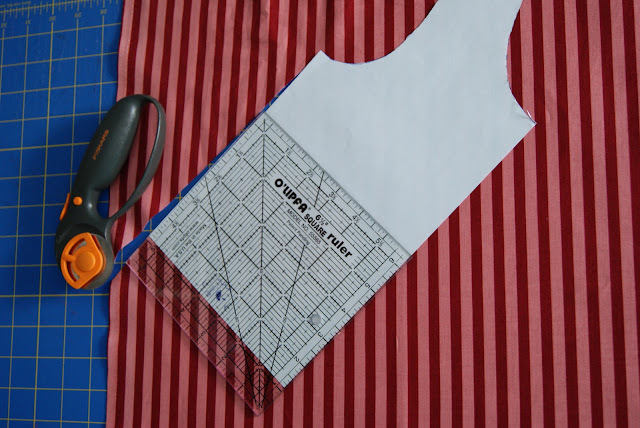 First of all add .5 inch to the center of the front bodice piece, this is for the .5 inch seam allowance. 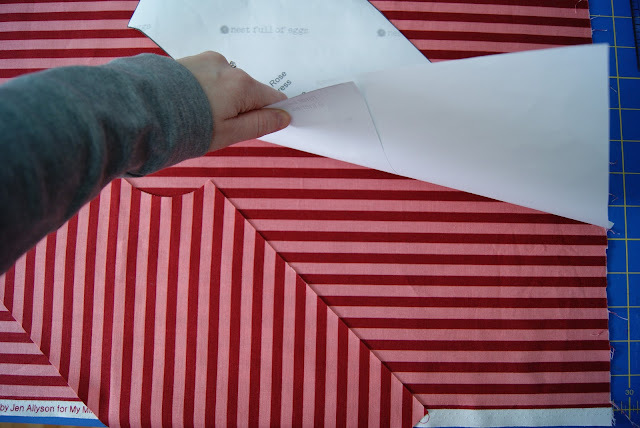 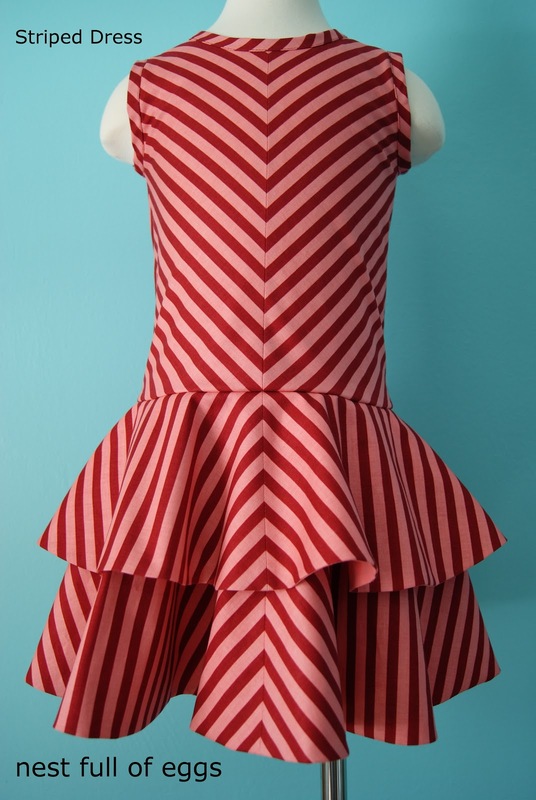 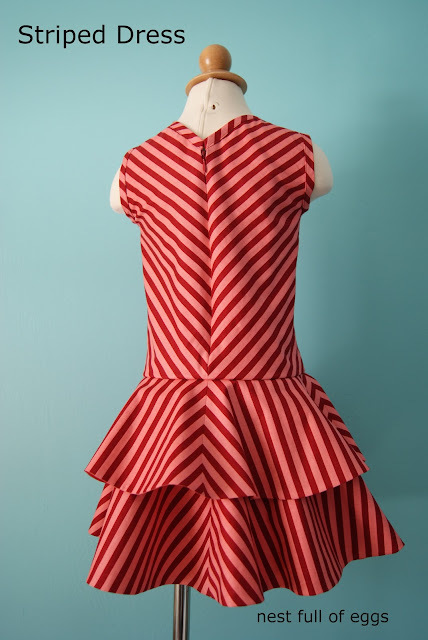 The front bodice is cut in 2 pieces where the stripes are cut at a 45 degree angle. 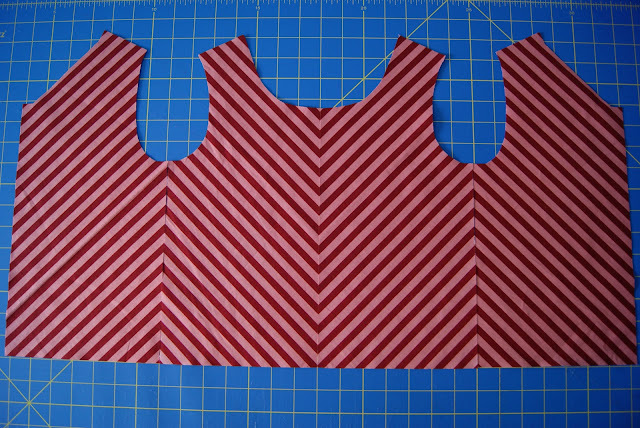 I put the first bodice piece on top of the fabric (right sides together) to obtain a perfectly symmetrical piece. 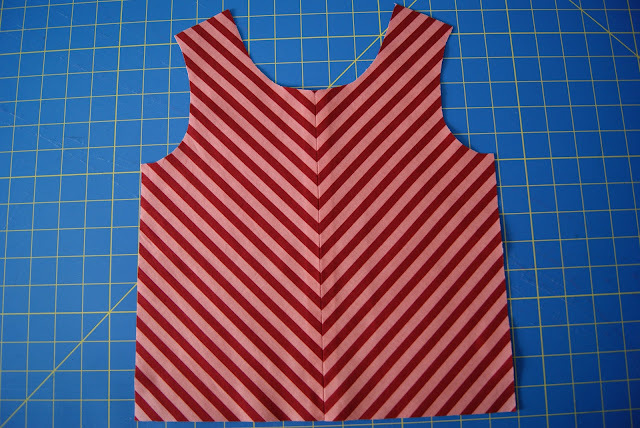 Cut the back bodice pieces at a 45 degree angle, making sure to line up the stripes (and form a 90 degree angle) with the front bodice pieces. 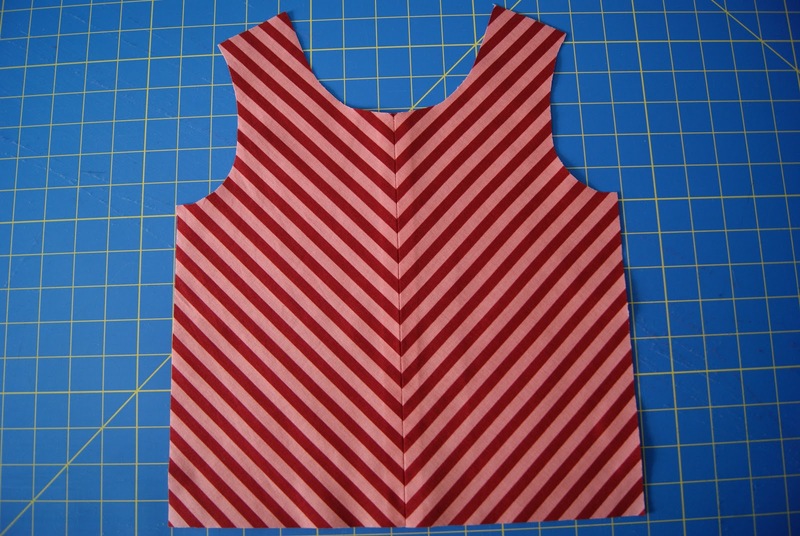 Sew the front bodice pieces together with a .5 inch seam allowance, press seams open. Finish sewing together the bodice pieces and the bodice lining pieces, press seams open. Moving onto the circle skirt of 6 inches in length. 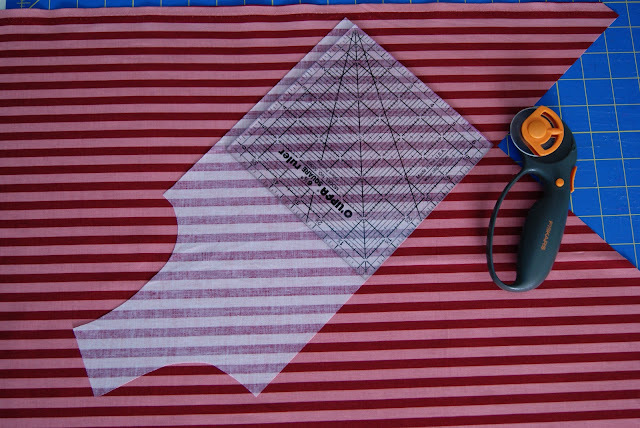 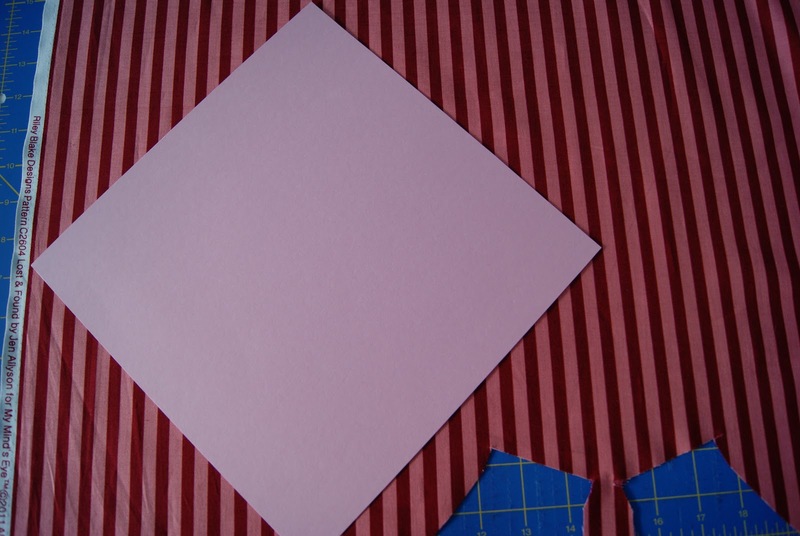 Cut out four 10 inch squares at a 45 degree angle. 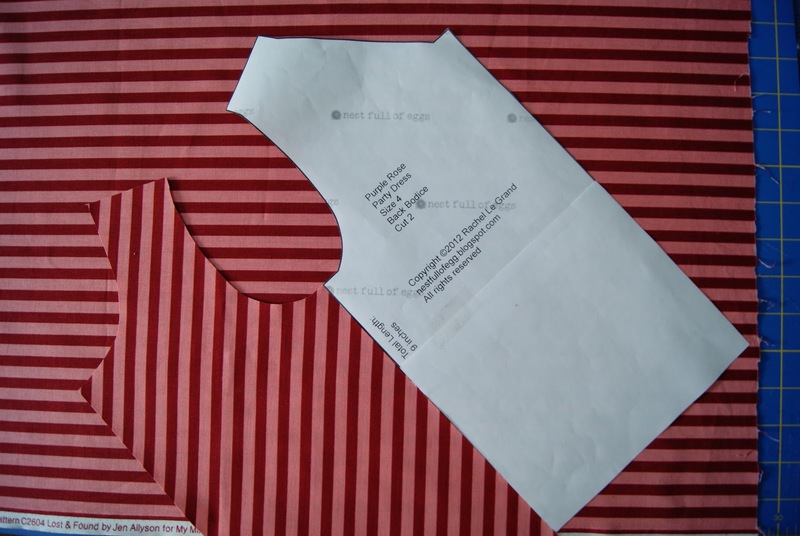 Sew them together, press seams open. 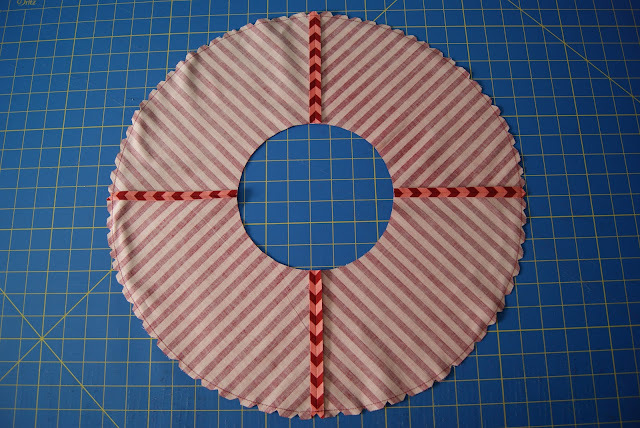 Cut out a circle skirt of 6 inches in length in the lining fabric, place it on top (right sides together) of the large square you just sewed together. 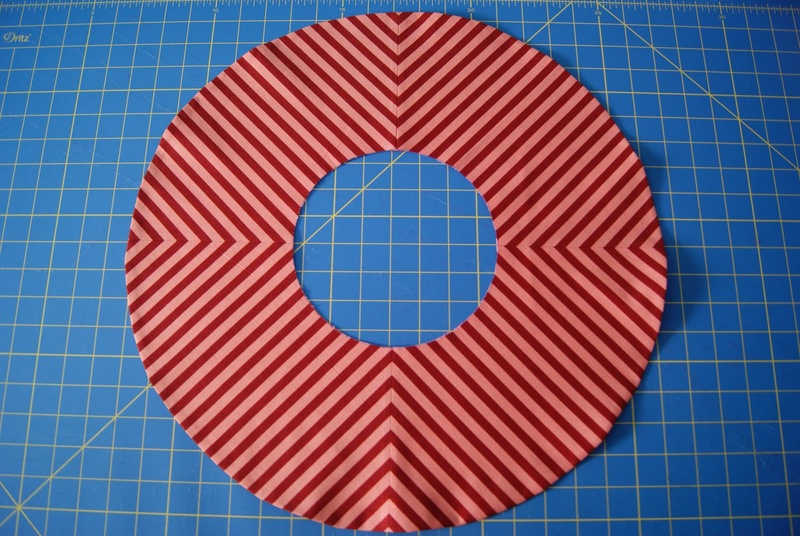 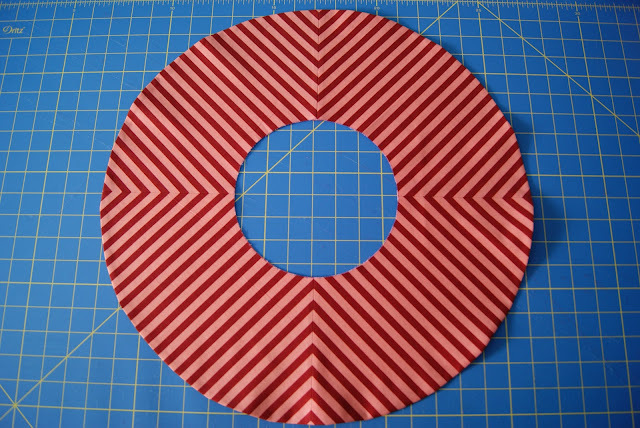 Cut out striped circle skirt, sew together using .25 inch seam allowance. 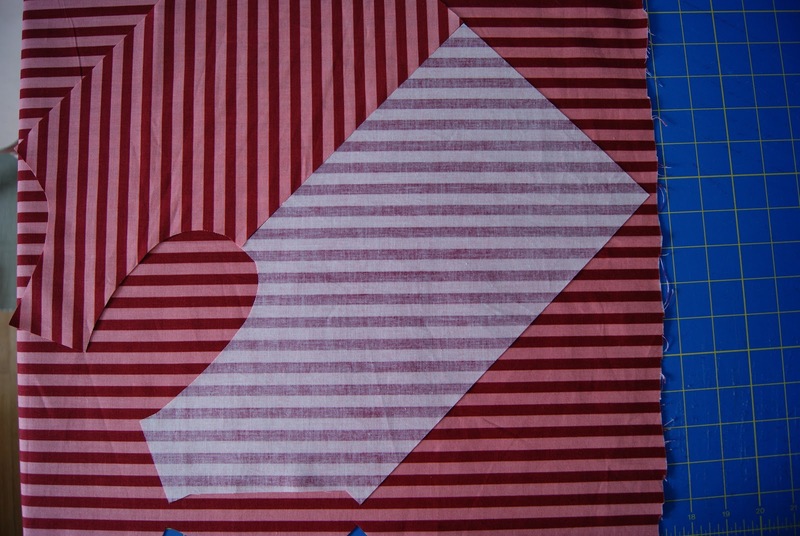 Clip edges all around, turn right side out, and press. 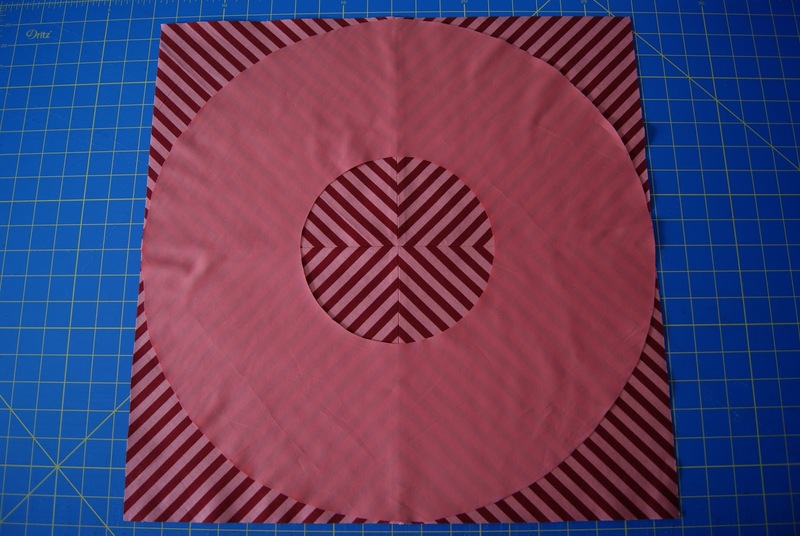 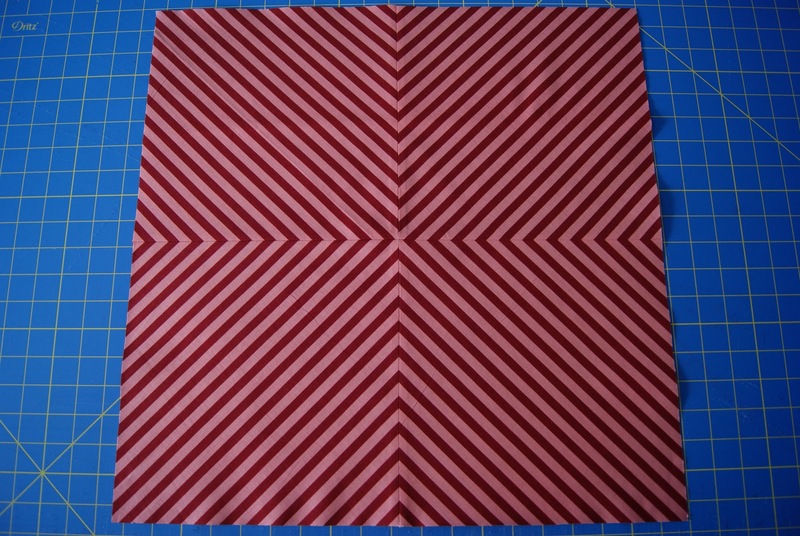 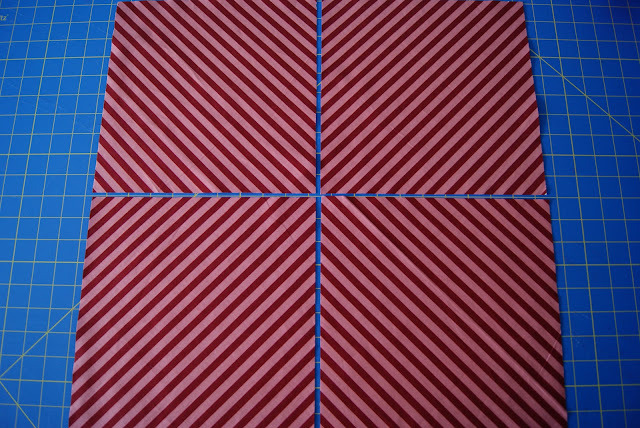 Repeat this for the circle skirt of 10 inches in length, but this time cut out four 14 inch squares. 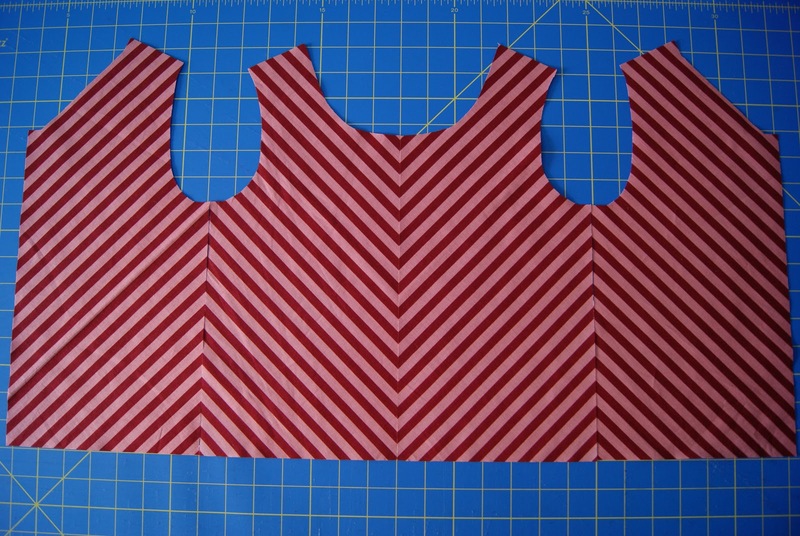 Using .5 inch seam allowance attach the 2 circle skirts to the bodice. Cut 3 yards of bias tape, 1.75 inches wide for the 1 inch bias tape maker (I made three 1 yard pieces of bias tape). The dress is just as pretty on the inside as it is on the outside being fully lined and also with the bias tape trim on the skirt/bodice seam. 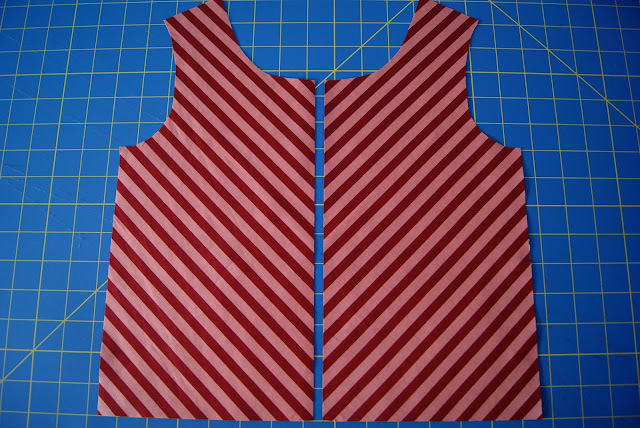 All that remains is installing the invisible zipper and sewing on the bias tape to the arm holes and neckline. 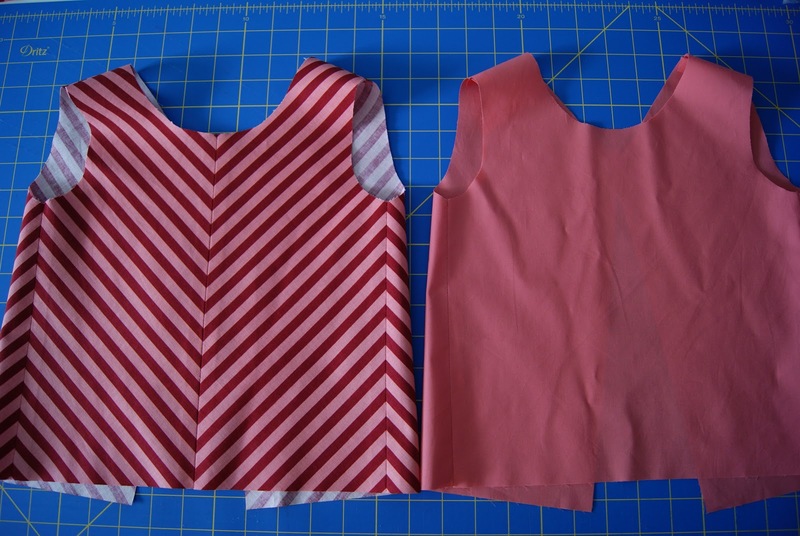 Isn't it incredible how the same sewing pattern can be used to create 2 completely different looks? 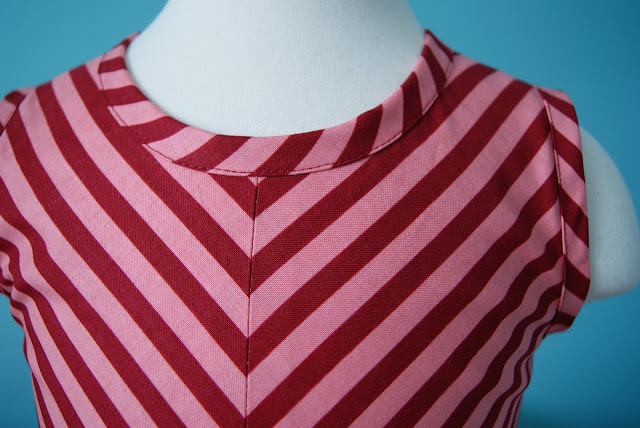 That's what I call versatility! I hope you enjoy sewing your striped dress!